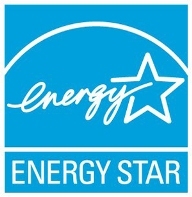 Today, March 1st, marked the beginning of a Minnesota sponsored rebate program that encourages residents in the state of Minnesota to purchase energy efficient appliances. The program launch was so popular that the Minnesota Appliance Rebate program website crashed today. “The Minnesota Trade-in & Save Appliance Rebate Program encourages Minnesota residents to consume more energy efficient appliances by allowing residents to earn up to $200 for replacing their appliances with more energy efficient ones. This program seems to not only benefit the environment but also the economy. Since everyone will have to actually purchase a new, energy efficient appliance, the retailers are going to benefit exponentially, which in turn, will benefit the economy of Minnesota. Do you think Minnesota has found a great way to benefit the environment, while simultaneously stimulating the economy? Or is the Minnesota (MN) Appliance Rebate Program like trying to put a band aid on a gun shot wound?